Where is the place of the voice in film? Where others have focused on Hollywood film, this volume aims to extend the field to other cinemas from around the world, encompassing Latin America, Asia and Africa amongst others. Traditional theoretical accounts, based on classical narrative cinema, examine the importance of the voice in terms of a desired perfect match between visuals and sonic effects. But, as the chapters of this volume illustrate, what is normative in one film industry may not apply in another. The widespread practices of dubbing, postsynch sound and "playback singing" in some countries, for instance, provide an alternative means of understanding the location of the voice in the soundtrack. Through seventeen original chapters, this volume situates the voice in film across a range of diverse national, transnational and cultural contexts, presenting readings which challenge traditional readings of the voice in film in exciting new ways. By taking a comparative view, this volume posits that the voice may be best understood as a mobile object, one whose trajectory follows a broader network of global flows. The various chapters explore the cultural transformations the voice undergoes as it moves from one industry to another. In doing so, the volume addresses sound practices which have been long been neglected, such as dubbing and non-synch sound, as well the ways in which sound technologies have shaped nationally specific styles of vocal performance. 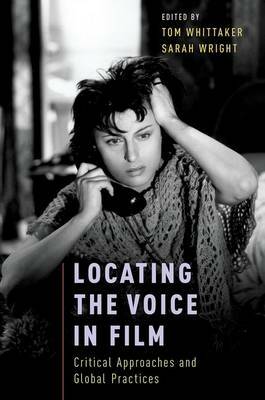 In addressing the place of the voice in film, the book intends to nuance existing theoretical writing on the voice while applying these critical insights in a global context.